For decades, private commercial real estate investments were opportunities reserved for the ultra-rich. Today, online crowdfunding platforms, like CrowdStreet, have made it possible for smaller investors to get into the action. I believe that most investors should have some exposure to real estate in their portfolio. But should that exposure come from a crowdfunding platform like CrowdStreet? In this review, I’ll explain the ins and outs of CrowdStreet, and when investors should consider using the platform. Who Can Invest on CrowdStreet? How Can I Start Investing on CrowdStreet? CrowdStreet is a commercial real estate crowdfunding platform. Since 2014, the platform has funded more than 200 projects by pooling the assets of more than 100,000 investors. By pooling money together, individual investors can fund real estate investment projects in the multiple millions of dollars. The projects that CrowdStreet funds are U.S.-based projects, with a large concentration in California and Texas. Investors can choose whether to invest in particular investment projects, or to invest in a “portfolio” of a few dozen projects. The recent performance of projects shows that most individual investments tend to outperform the blended portfolio options. That said, individual projects are far riskier than the blended portfolio. An individual project could result in a total loss of investment capital. The blended portfolios are much less likely to lose a lot of value. Has a net worth exceeding $1 million (excluding the value of your personal residence). Has a trust with assets over $5 million. CrowdStreet does offer two real-estate investment trusts (REITs) for non-accredited investors. You can learn about the REITs here. The minimum investment for most individual projects is at least $25,000. In some cases, the minimum investment is as high as $50,000. The minimum investment for the REITs is at least $10,000 (though they sometimes have investment minimums as low as $1,000 during initial offerings). CrowdStreet’s portfolios have a 1% management fee. The other expenses are baked into the expected returns on the portfolio. The REITs that CrowdStreet advertises have a slew of fees, many of which are confusing. For example, the Impact Housing REIT carried hefty fees including a 1.75% asset management fee, a 1% disposition of capital fee, a 1% financing fee, and more. The good news is that all these fees are clearly disclosed on the CrowdStreet website. The tough news is that it’s nearly impossible to compare these fees to other investment fees. The direct investments have an even more difficult-to-understand fee structure. The fees on direct investments are paid by the sponsor. This reduces profits, but it also means that the deal projections don’t suffer from fee drag. You can read about CrowdStreet’s typical sponsor fees here. The fees align closely with the fees from the REIT. 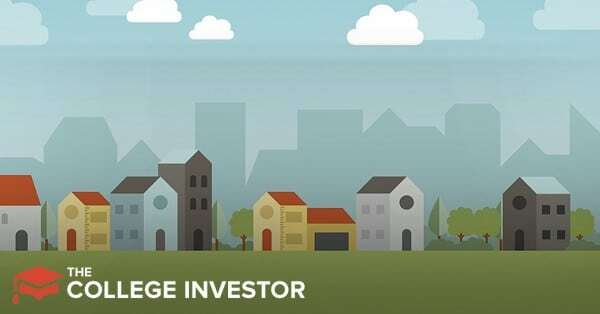 If you’re interested in investing using CrowdStreet, create an account from the site’s home page. There is a minimum investment of at least $10,000 for the smallest deals, and you must be an accredited investor. I strongly recommend making use of the CRE learning center and the new investor orientation website before you put a dollar (or $25,000) toward a CrowdStreet investment. As I mentioned in the introduction, I think that real estate is an important asset class for most investors. I’m also of the opinion that most publicly traded REITs rely a bit too heavily on self-storage spaces and other mediocre investments. However, publicly traded REITs tend to offer massive geographic exposure, which provides some insulation from regional downturns. Investing in any crowdfunding real estate site has more risk than investing in a publicly traded REIT. The fact is, it’s nearly impossible to get your money out of CrowdStreet until a deal closes. You can’t really sell your shares, even if there was a market for them. However, for the right person, CrowdStreet could offer excellent investment opportunities. The right person is willing to do as much research as if they were purchasing their own rental property. However, this person is willing to sacrifice control over the deal in exchange for letting CrowdStreet handle all the logistics. The site has great resources for learning about commercial real estate investments. It also clearly discloses risks, fees, and other pertinent information about individual deals. If you have $250,000 that you need to allocate toward real estate, you could fund 10 or more deals on CrowdStreet and gain a well-diversified portfolio of commercial real estate.